The geometric styling of this ring is derived from the gridded grooves that run right through the entire band making the band itself distinct. Choose this white wedder as your ring if you prefer a even nice wide band that is contemporary styled wedding ring, like diamonds but dont want to be overwhelmed by them, prefer something different from the norm and far from a plain band. Standard size is 8mm. Can be also made in platinum or palladium if preferred. 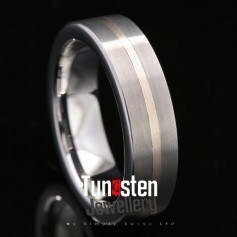 Customize- You can customise this ring. You can have this or any of our other mens diamonds rings in a different width, colour or metal if you prefer or you can also get a matching ring to this made for your partner. Please fill in as much details as you can on our custom make form.